I admit it. I like to “watch” English Royalty, tune in on the bits and pieces of their lives. I come by this penchant honestly. My parents were originally Canadian, my mother’s ancestral roots going back to England and my father’s to Germany. Before I was born, they came to the United States and established US citizenship. From the time I was a kid, I remember my mother following the royals and collecting memorabilia about them. I also learned, if I’d been a boy, my name would have been George. Really? 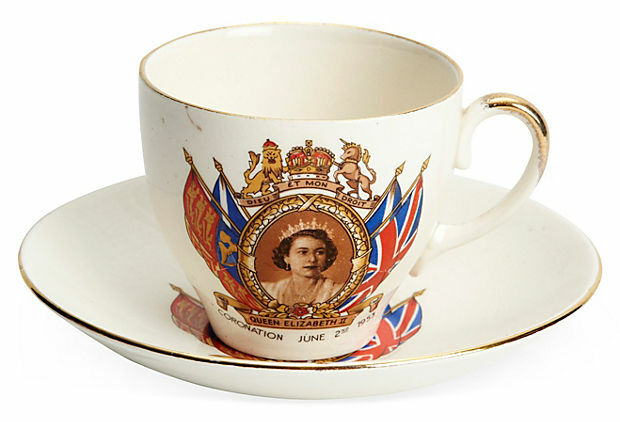 In my parents’ china cabinet were commemorative cups and saucers, plates, and tea mugs with either King George’s image or, after his death, the present Queen Elizabeth’s. I realized my own addiction when I bought some of this china in antique shops many years later. One might ask, Are kings and queens “who don’t really do anything” needed? All the falderal is expensive compared to the greater neediness and problems of the world. I suppose that’s one way to look at it. But, in this case, the English royals actually serve societal neediness in several ways. Traditions behind the ceremonies and royal lineage are centuries old. Just as traditions bind a family, so too they can help bind a society. Picture the crowds at a royal event paying homage to a marriage or birth or death or national holiday. The evolution of the monarchy from absolute power to figural power evolved as the English social structure changed. But instead of disappearing, the monarchy survived, a tribute to tradition and national pride. The lives of royals viewed through the media and “tell all” biographies can give people a topic of conversation or cause them to examine or celebrate their own lives. Or if a royal commits a major gaffe, they can think “There but for the grace of God go I.” People may be uplifted by the celebration of a royal birth. They may be inspired by observing others overcome troubles. In the film The King’s Speech, actor Colin Firth portrayed King George VI dealing with a debilitating stutter. 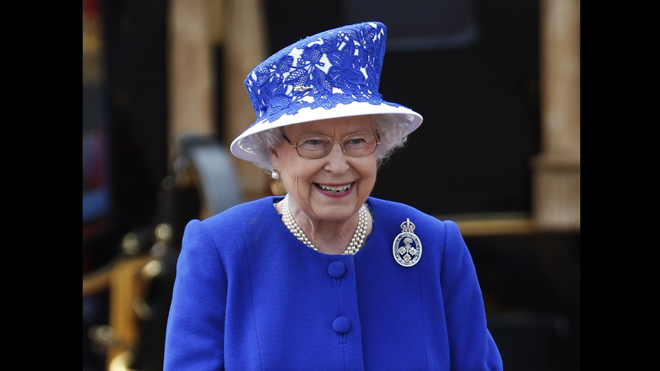 Royals bring attention to needs of society through their charities and patronages. They encourage volunteerism, donations, and promote understanding of the particular issue targeted by the charity. And you’ve gotta love the hats of the English women. Diana and now Kate bring a panache and style and excitement that this woman finds fun. 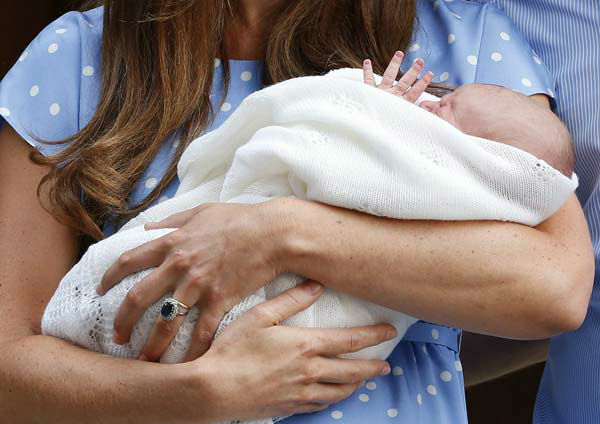 I wonder what Prince George Alexander Louis will be called at home. Perhaps a nickname? King George VI (Albert Frederick Arthur George) was Albert or Bertie. Prince Harry is really Henry Charles Albert David. Prince William was Wills in the press. Could the little prince become an Alex or Al or Lou or Louie? Today’s fads, trends, moments of fame or infamy come and go rapidly. Technological advances give the term “obsolete” a previously unheard of speed. We have a lot of “flash in the pans” with reality TV. A hot spot in the world flares, followed by another. Not too much seems steady or lasting. When all is said and done, I like the staying power, tradition, and structure of the royals. I enjoy escaping into their world on occasion … while I sort out mine. This entry was posted in Inspiration, Looking for Inspiration, Reading and tagged Duke and Duchess of Cambridge, english royalty, inspiration, paying homage, Prince George, Prince George Alexander Louis, Queen Elizabeth, queen elizabeth ii, royal lineage, royal tradition, Royalty, stability, staying power, tea mugs, William and Kate. Bookmark the permalink. I think William and Kate will conduct themselves with more of Queen Elizabeth’s decorum than we’ve seen of late by some of the other royals. The couple seems solid and strong. 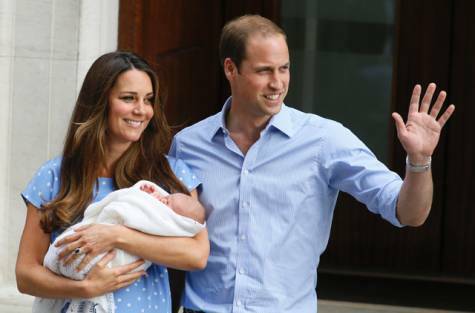 Plus I think they’ll incorporate Diana’s desire for “normalcy” for a royal family’s young children.